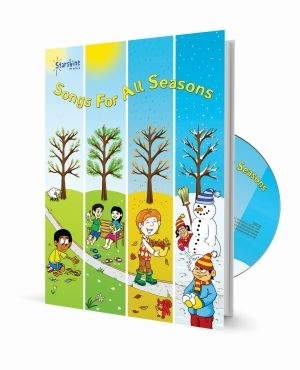 This fantastic collection of songs for Spring, Summer, Autumn and Winter written by Starshine writers is an excellent addition to Primary phase repertoire, with catchy songs in widely ranging styles designed to appeal to KS1 and KS2. Themes: weather, seasons, nature, growth & change, Easter, Harvest and much more. "A high quality selection of seasonal songs with the flexiblity to feature as stand-alone concert items or grouped together for plays and assemblies." M Neill - School Choral Director, Sussex. Review by Annie Rogers - Head Teacher, East Sussex. 'A high quality selection of seasonal songs with the flexiblity to feature as stand-alone concert items or grouped together for plays and assemblies.' Martin Neill - Music Teacher & Choral Director, East Sussex.